Al Klein (Christopher Meloni of TV’s LAW & ORDER: SVU) and his longtime friend, Ash Martini (Dean Norris of TV’s BREAKING BAD), own a used car lot and these two know every trick in the book when it comes to selling cars. Klein still pines for his ex-wife Barbara (Bridget Moynahan of TV’s BLUE BLOODS) who left him years ago for a more successful man. After their son Freddy (Devon Bostick of DIARY OF A WIMPY KID FRANCHISE) graduates from high school, he decides to forego college in favor of selling cars with his old man. But what’s good for Klein might not be the best thing for Freddy, as he quickly transforms froman innocent young man into a jaded car salesman, leaving Al with a tough decision to make. 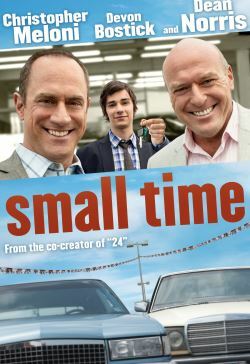 Inspired by a true story, this heartwarming comedy is written and directed by TV’s 24 co-creator Joel Surnow and co-stars Kevin Nealon (TV’s WEEDS), Xander Berkeley (TAKEN), and Garcelle Beauvais (FLIGHT).